There's not much you can do in three seconds - tie a lace, maybe - but by the time you've finished knotting your shoes this new Ferrari would have reached 62mph from a standstill. 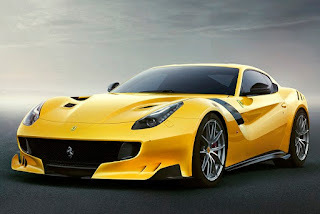 The F12tdf is the newest production car out of the Modena factory in Italy, and it will ravage almost anything else with four wheels on the road today. Just 799 models will be produced with an expected price tag of £275,000 - and that's not the most frightening figure in its arsenal. 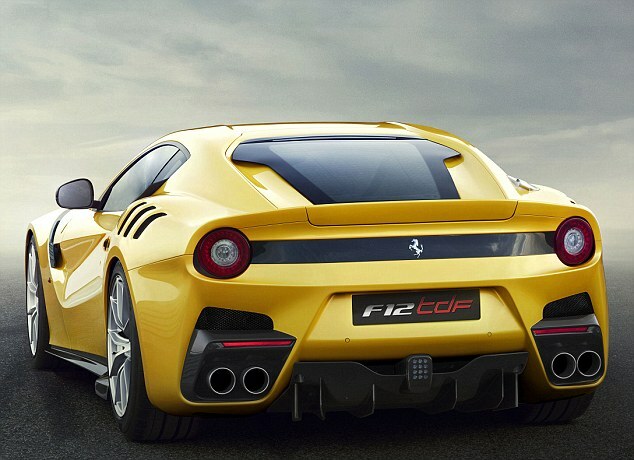 The 'tdf' doesn't stand for 'thunderous and devastatingly fast' or turbo diesel Ferrari; instead, it harks back to the historic Le Tour de France road race Ferrari dominated in the 50s and 60s. 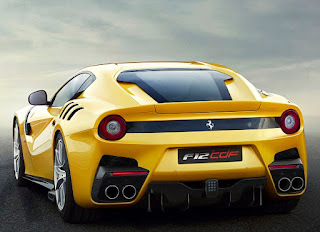 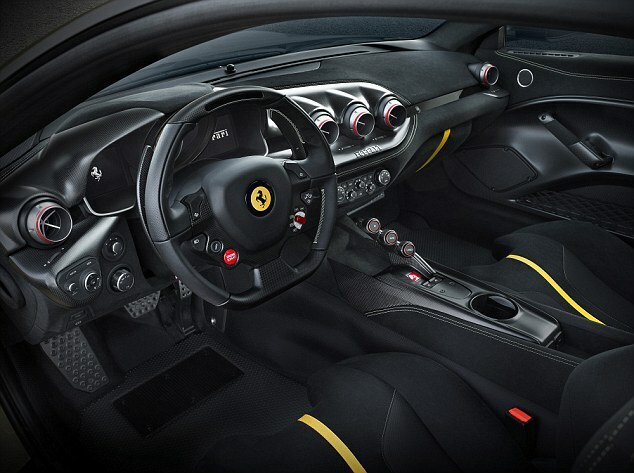 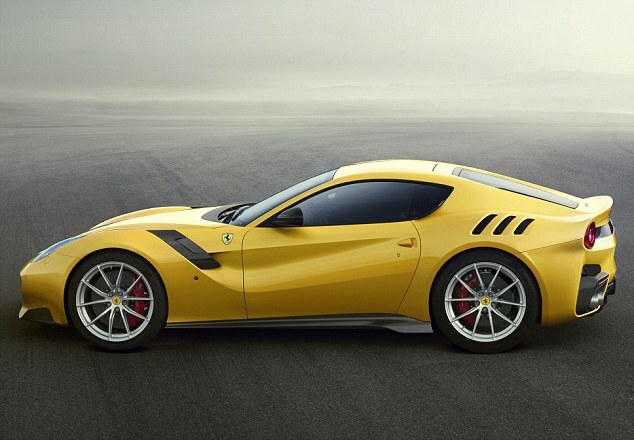 So what sets this new, more focused, model apart from the standard F12 Berlinetta launched two years ago? 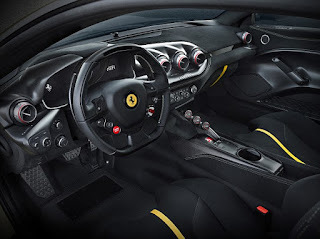 It uses the same naturally-aspirated 6.2-litre V12 petrol engine but ekes out 38 more horses to produce a whopping 769bhp - more than nine 1.0-litre Ford Fiestas put together. 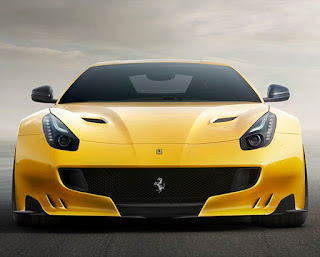 That means a 0-62mph time of 2.9 seconds - faster than you can drop an item of food on the floor and allow an acceptable amount of time before picking it up and eating it - and a top speed of 211mph.